It was an odd moment today when I realized I had spent nearly an hour clicking through previous years' photo albums of skiing and snow scenes. I felt guilty for wasting time, just looking at photos of snow and reliving ski turns and trips in my daydreams. Then I received a "Snow Alert" from Loveland ski area in Colorado and noted a winter storm is predicted for the Rockies later this week. 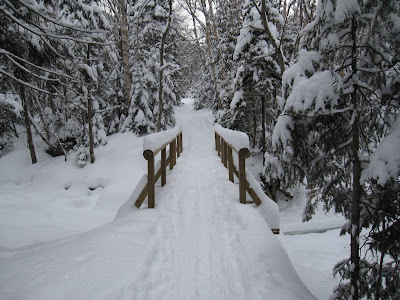 These hints that snow, skiing, and turning on skis will soon arrive in the Adirondacks reminded me that what seems like useless daydreaming is really a highly effective sports psychology technique, and thus alleviated my guilt and sent me back to the photos! Today's alliterative headline is a respectful nod to William Safire, one of my favorite writers, who passed away today.